Studies show that people with social anxiety pay more attention to negative facial expressions. An eye tracking study confirmed this theory and also revealed that training people to focus on positive stimuli can lead to a reduction in this bias. The Anxiety Research and Treatment Clinic at the University of Miami used eye tracking to look into the attention process of people with anxiety disorders. Information-processing biases have been thought to play an important role in the cause and maintenance of anxiety disorders, specifically in the way people notice the threatening aspects of their environment. 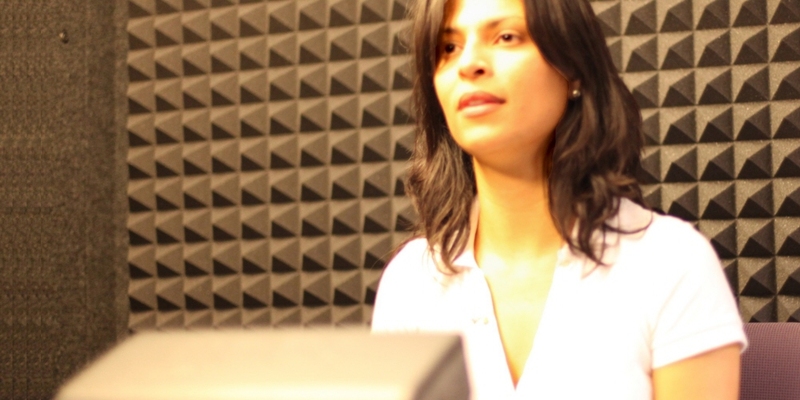 The University of Miami research aimed to clarify the attention process of people with social anxiety in order to investigate whether biases disappear with attention modification programs. The Anxiety Research and Treatment Clinic used a Tobii Pro X120 eye tracker to observe where people with social anxiety focus while looking at threatening stimuli. Specifically, if they initially direct attention toward the threat (vs. s time progresses. By clarifying this process, researchers can investigate whether biases disappear with attention modification programs can alleviate other anxiety symptoms. The long-term goal is to reduce these biases and the individual's anxiety. "Our research is greatly enhanced now, as eye tracking enables us to do a fine-grained analysis of what draws the attention of people with anxiety." Previous social anxiety studies used dot-probe tasks and eye tracking to show an attentional bias toward negative images. The Anxiety Research and Treatment Clinic wanted to train people to focus more on positive faces rather than neutral faces by using a modified dot-probe paradigm in which 80% of the probes were located under positive facial expressions. By contrast, probes appeared equally under positive and neutral emotional expressions for the control group. The idea was that if a person with social anxiety scans their surroundings to find faces with positive expressions, they will be less susceptible to making negative assumptions about their performance. Training sessions were about 20 minutes long and occurred eight times over a four-week period. The researchers used eye tracking to evaluate the outcome of the training. 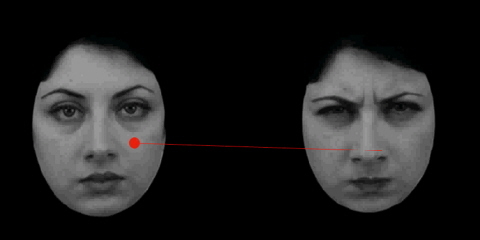 To measure attentional bias to threatening faces, faces displaying emotional expressions of disgust, anger, and happiness, or faces with a neutral emotional expression, are shown on a 42" screen. A Tobii Pro X120 eye tracker monitored which face test subjects fixated first, the number of fixations, and the length of fixations on each type of face. An integrated system using the E-Prime Extensions allowed the researchers to record eye movements, in addition to corresponding psycho-physiological responses such as heart rate, skin conductance, facial EMG, and respiration. Tobii Pro Studio was used for analyzing the eye movement data. As in previous studies, the research demonstrated that people with social anxiety pay more initial attention to faces expressing an emotional expression of disgust or anger as compared to neutral faces. This could be due to emotional expressions naturally capturing more attention than neutral expressions. However, after comparing the group with anxiety to the subjects without it, this bias was more pronounced in the group with social anxiety. 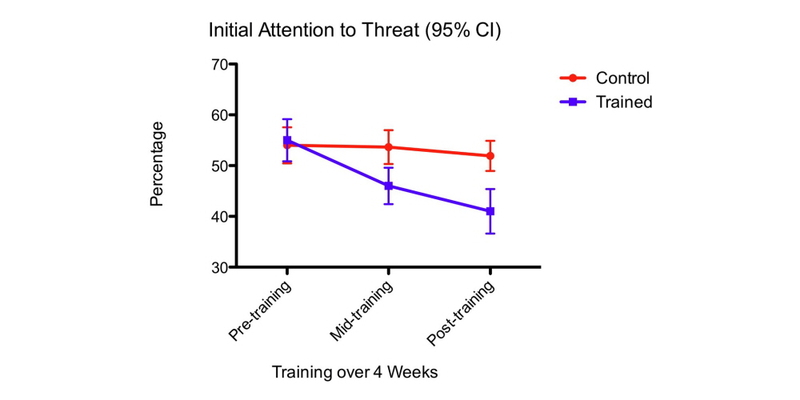 Training people to focus on positive stimuli led to a reduction in the bias of paying attention to threatening stimuli. Consequently, training people with social anxiety to focus on faces with a happy expression seems to have an effect on how much attention they pay to negative stimuli.Subsequent future testing will show whether social anxiety symptoms were also reduced.